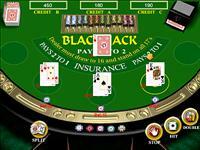 Play Black Jack as in a casino. The well-known table can be host up to three players at the same time. Vivid 3D cards transfer the player to the real casino and the suspense is getting bigger and bigger.